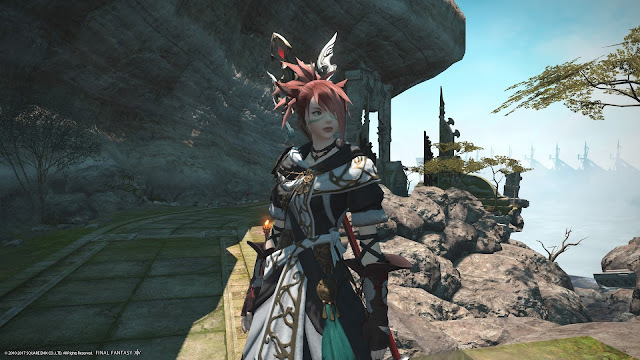 Welcome back to my Stormblood diary series! When I left you last week, I had just finished the Doma portion of the expansion and was heading into the final act of the main story. 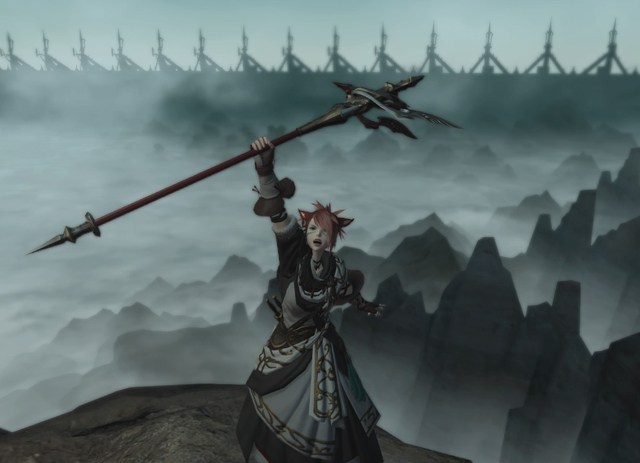 I’d been taken in by the beauty of Doma and its surrounding areas like Yanxia, and impressed at how Stormblood managed to take a classic “rebel against an evil empire” plot and create something quite captivating and thought-provoking. Now that I’ve finally finished the main story, I feel somewhat ambivalent about the whole thing. 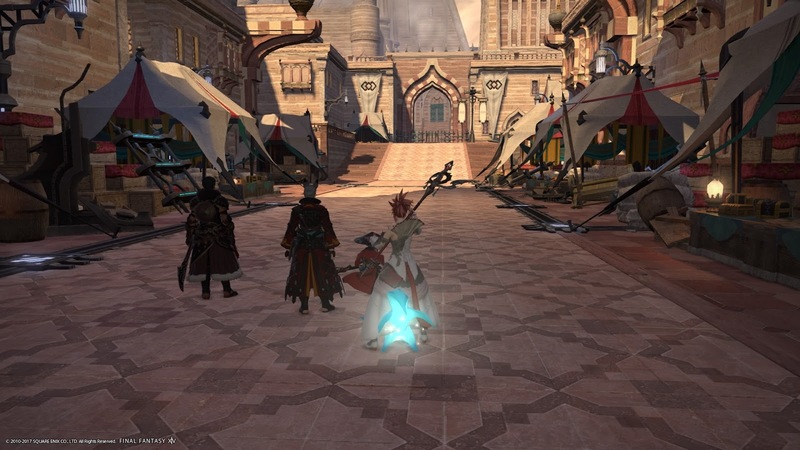 For two thirds of its run, it’s a classic Final Fantasy story, one that made me think of the like of Final Fantasy III and Final Fantasy IV: a fairly straightforward tale of good vs. evil, mostly free of the political machinations that were a cornerstone of Heavensward, and driven by its rich characters and the humanity of the world it explores. That all comes crashing down in the final act, though, which somehow felt both rushed and like it dragged on. 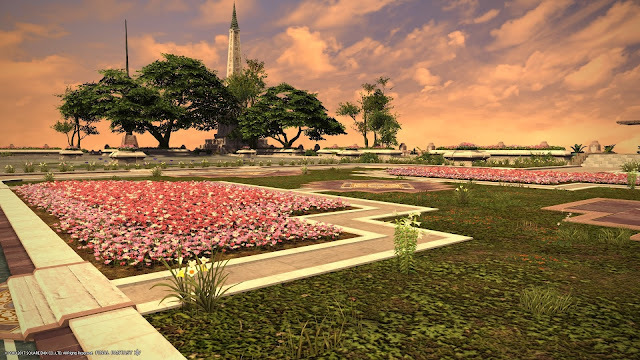 This chapter sees the Scions of the Seventh Dawn return from the victory over the Garlean Empire in Doma, with the goal of doing the same in in occupied nation of Ala Mhigo. The main character of Stormblood, Lyse, is an Ala Mhigan native, and it’s she who’s able to rally the resistance under the mantra of “Liberty or Death”, so there are high personal stakes involved. And yet, this last act has none of the personality of the Doma chapter, and instead just sees the Scions jump from battle to battle, pushing back the empire at every turn. Go to one imperial base and take it over, then rush to the next and do the same, and then again – so it goes across three zones for two or three levels’ worth of main story quests. There are a couple of moments where it shows the spark of human interest that made the Doma chapter so compelling, like a handful of encounters with beast tribes who are allied with the Empire out of fear or due to enslavement, but these moments are far too brief. It essentially feels like what would be the final dungeon of a traditional single-player Final Fantasy, or the penultimate scene of a film, but stretched out much farther than either. It all builds up to a final boss that’s suitably climactic – I won’t say who because it’s a bit of a spoiler, though it’s heavily foreshadowed throughout the game. As you might expect after A Realm Reborn and Heavensward, this final encounter is an eight-person trial (not unlike the primals fought earlier). It’s not a hard fight as such, but it’s one that requires everyone to know what they’re doing and focus, with little room for error. There’s a place for such fights (hell, that’s the bulk of the endgame), but I don’t think it’s in a main story quest where a lot of people are going to be coming in through the Duty Finder and not reading strategies beforehand. 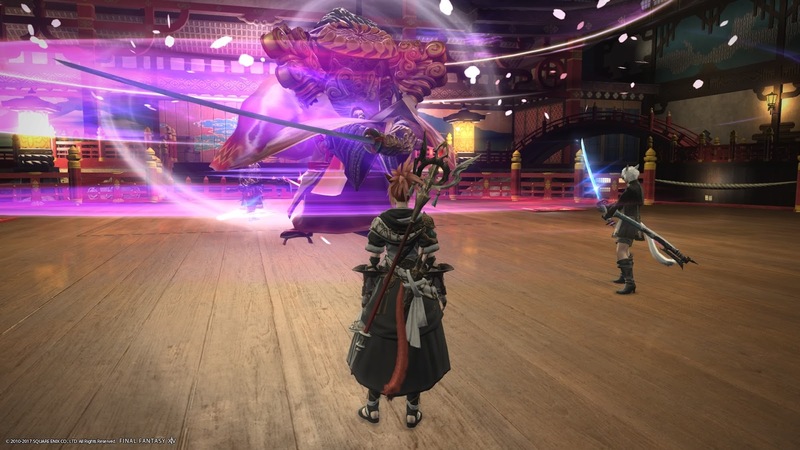 It wasn’t until my fourth group that I was able to clear the final boss; the first three were just a series of wipes as players tried to figure out what to do. With each group, we’d finally start making some progress, then we’d run out of time and get kicked out; so then you start again, with another fresh group learning the ropes. This kind learning progression is the norm in extreme trials and other high-end raids, but it’s too much when you just want to get on with the story and see it to its conclusion. That’s the most frustrating part of it all – this is literally the last thing you have to do before you can see the ending, but if you get unlucky with groups, you can be stonewalled there for hours. 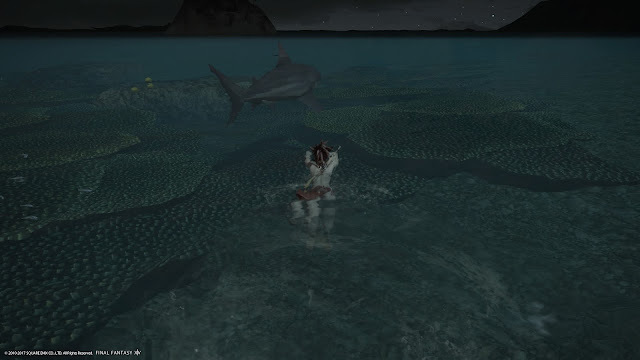 When you finally do get past it, though, you’re in for a treat. Harsh as I was on the Ala Mhigo arc of the story, the ending itself is delightful – full of heroism and revelry, but also grounded in the human struggles that led to that outcome and personal growth of Lyse and those around her. It also leaves a few threads open for future story developments, and I’m looking forward to seeing how those play out. Completing the story also opens up two more dungeons, Kugane Castle and Temple of the Fist, both of which are fantastic. Temple of the Fist is inspired by the trials undertaken by warrior monks, and has you fighting monsters and ghosts while evading traps high up on a perilous mountain path. 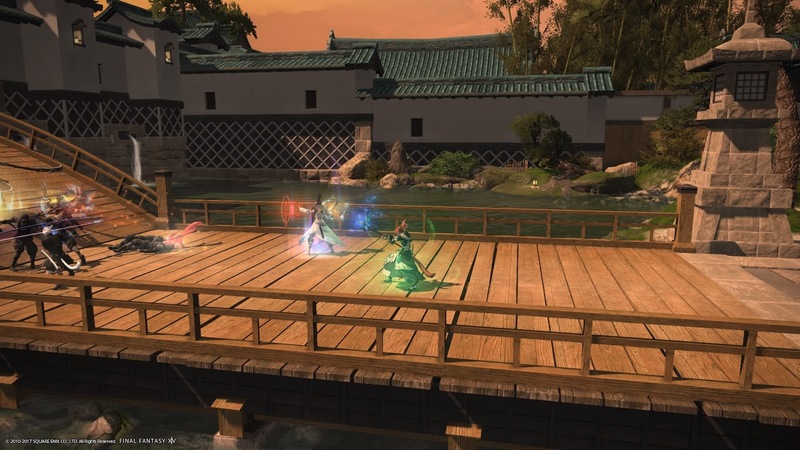 Kugane Castle has you working alongside the Sekiseigumi to rescue a foreign dignitary, who’s been captured by rebels who oppose Kugane’s foreign presence – just in case there was still any doubt that the Sekiseigumi is inspired by the Shinsengumi. It’s here that you get to fight Yojimbo in an encounter that turns his trademark mercenarism into a neat boss mechanic. With the main scenario complete, I can now look forward to what is arguably the best part of any MMO: the endgame. 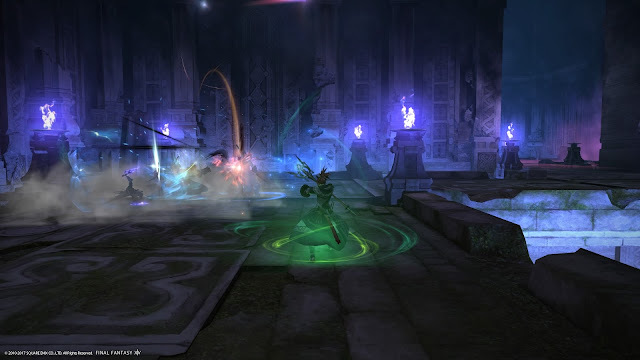 There’s not a whole lot of high-end content at this stage – just two Extreme primals – but the first wing of the Omega raid is opening soon, too. I hope everyone’s ready for a gear grind!